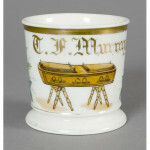 Mortician or Undertaker mugs are oddly popular because they often served as great advertising for the owner and so they invested in nice mugs quite often. 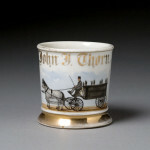 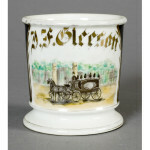 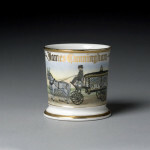 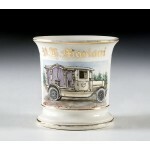 The detail in some of these mugs is great and common scenes are either a hearse (whether horse-drawn or motor driven) or a coffin. 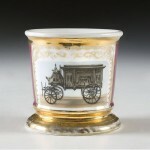 Generally the hearse design is more valuable.